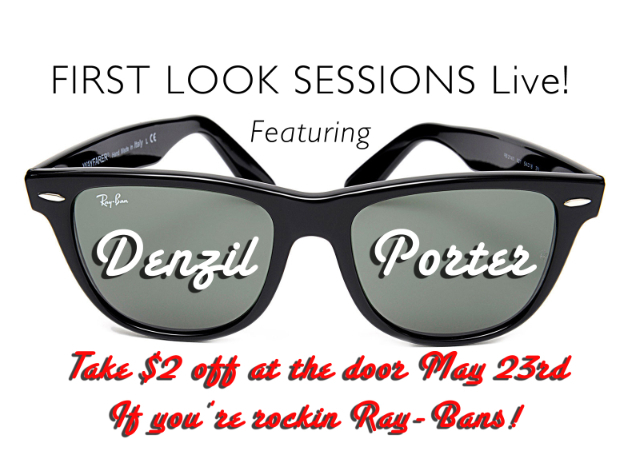 WHO: Denzil Porter will be headlining FIRST LOOK SESSIONS LIVE with guest performances by Deena Jonez, Fedel, D.A. the Future, A.D.D. and more. Hosted by DJ Blake with live interviews by Alina Kim. Photography will be by DPI Creative and videography by Vokle & B2T Productions. WHAT: FIRSTLOOK iTV Networks presents FIRST LOOK SESSIONS LIVE with Denzil Porter as a salute to the Bronx, where hip hop was born. Tickets are $10. If you are wearing a pair of Ray-Ban glasses at the door like Denzil Porter, tickets are only $8. WHERE: Public Assembly located at 70 North 6th St. Brooklyn, NY 11211. WHEN: Wednesday May 23, 2012. Doors open at 8pm.